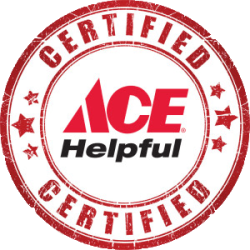 Our Toney Ace Hardware in Louisburg is a Carolina Carports dealer. We do not carry any Carolina Carports products in stock, but talk with any of our knowledgeable staff about how we can help you with your orders for a new attachment or building. Carolina Carports, Inc. was founded in 1997. The company’s primary function is to manufacture metal carports, steel buildings, garages, barns, custom buildings, and metal products by using the newest technology as well as engineered expertise and state-of-the-art machinery. Carolina Carports, Inc. offers its quality products through a network of trained representatives across the United States. We also use the services of highly skilled contractors for the professional installation of each product. Carolina Carports, Inc. is not related nor affiliated with any other carport company nor does it operate under any other names.